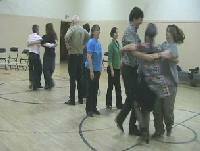 Saturday evening a set dance ceili was held at the same venue from 7-11 and the dust flew off the floorboards. Everyone had dusty pant legs when we finally called it quits for the night. 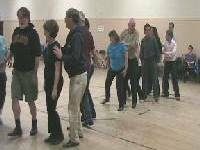 Sunday Pat taught an old timey footwork workshop for Sean Nos dancers in Seattle from 5-6:30pm. His weekend in Seattle concluded with a celebration of his 31st birthday at Mick Kelly's in Burien for Sunday Sets from 7-9pm. Our thanks to Patrick O'Dea for including Seattle on your USA tour. A big pat on the back also goes to the musicians that kept the lively tunes flowing day and night. We owe a debt of gratitude to his wkend hosts (Mike & Kathleen) and a very important babysitter of 2 energetic young boys - she makes this busy dancing weekend schedule possible ! 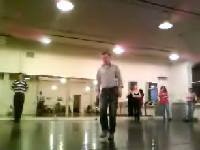 Click on the links below to view the video samples on You tube from the Pat O'Dea Dance Workshops & Ceili's ! Youtube condenses the files down ALOT - we recommend that you click on the text for the "high quality" version. You'll find that link on the bottom right corner of the media player. If your modem is slow & it plays jerky, just hit the Pause bottom on the player and let it completely download before you hit Play again. It should play smoothly for you then. 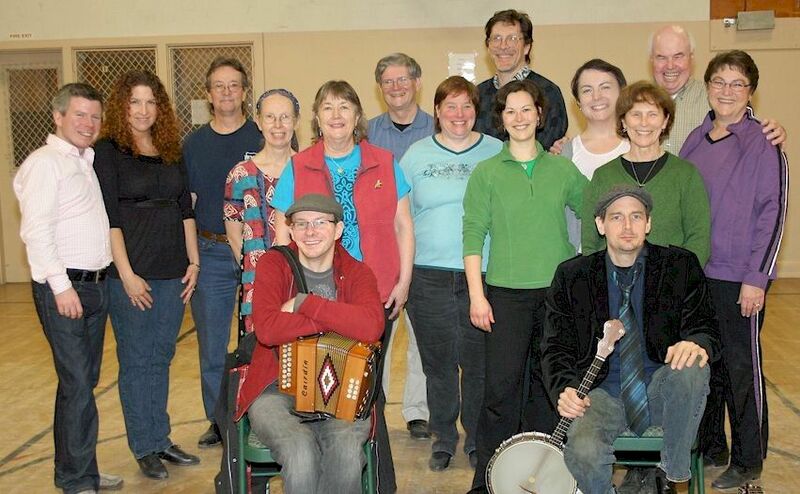 Pat O'Dea at old timey Sunday Workshop ( from Deb) Ok Kathleen - where's your video sample that you filmed. Too busy sunning on the beach to share with us ? ?